Twitter is set to introduce a new feature that will enable the users to email their tweets directly from twitter.com. 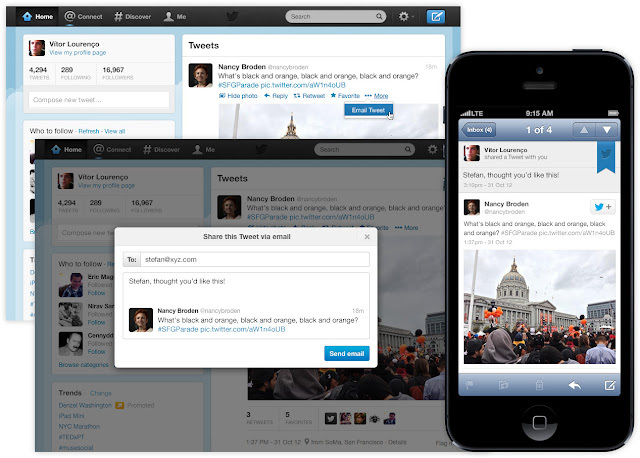 The main advantage that it would offer to its users is that the tweet can be shared with people who are not present on Twitter. "You can email a Tweet to anyone, whether they use Twitter or not, right from your Twitter stream or from the details view of any Tweet. Just click on the “More” icon next to the reply, retweet and favorite buttons in order to email a Tweet to anyone you know. "